In recent years, scientists have been uncovering potential therapeutic benefits of psychedelic substances like psilocybin and lysergic acid diethylamide (LSD) – it looks like they can ‘reset’ the brain in people with mental health conditions. Now a new study has revealed exactly what’s going on inside our brains when we take LSD, uncovering a connection that might explain why it relieves the symptoms of disorders such as PTSD and chronic depression. Research led by the Center for Brain and Cognition at the Universitat Pompeu Fabra in Barcelona has discovered a process of ‘harmonising’ across areas of the brain that don’t usually work together. Referred to by the team as ‘repertoire expansion’, it suggests psychedelic substances like LSD could be encouraging the brain to develop certain patterns of activity. The team thinks these patterns could help compensate the disordered connections that can cause mental suffering. “We applied a new analysis, a harmonic decoding of fMRI data, which looks at neural activity in a new way; as a combination of harmonic waves in the brain that we call ‘connectome harmonics’,” neuroscientist Selen Atasoy said in an interview with PsyPost. The researchers scanned the brains of 12 volunteers divided into groups that received either a moderate dose of LSD or a placebo. Some were given doses while hearing some tunes, or after a session of listening to music. Why the music? Previous research had shown LSD enhances the emotional responses to hearing various instrumental tracks, prompting the team to look at its neurological effects. 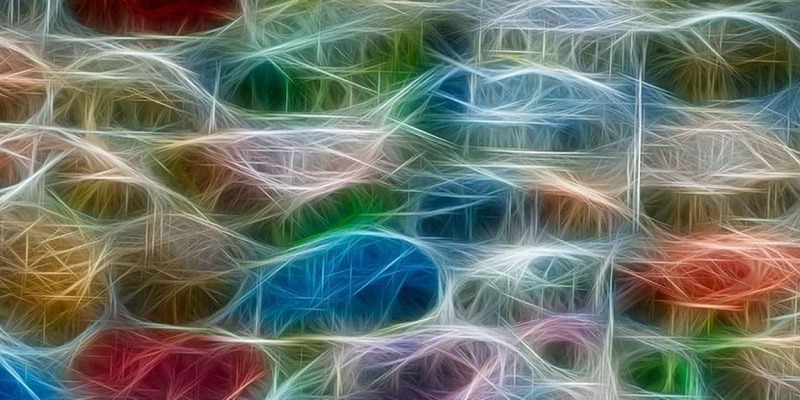 Specifically, the neuroscientists were interested in the way networks of activity oscillated in patterns – effectively harmonising with one another, a little like how patterns of sound waves emerge from a musical instrument. It seems as if LSD makes the brain whistle a slightly different tune, one that recruits areas of the brain it doesn’t usually play with. “We found that what LSD does to your brain seems to be similar to jazz improvisation,” Atasoy told Psypost. The musical analogy doesn’t stop there – it was shown that listening to music while on LSD actually amplifies its reorganising effects. The study isn’t the first to image the brains of subjects on acid, or to even look for patterns; but it is the first to watch these harmonics shift in response to doses of LSD, describing the mechanisms behind potential therapeutic effects. Poor mental health can often be the result of aberrant connections within all-important brain networks, leading to disordered states that give rise to symptoms such as anhedonia or sensory confusion. By forcing the brain to explore new pathways, it’s possible that it might be able to build new networks that help overcome trauma. The changes in neural harmonies resulting from the LSD – and therefore potential therapeutic effects – largely faded within a few hours of the sessions. But the researchers noticed residual changes that suggested new networks could become permanent. There’s still a long way to go before we’ll see medications being developed out of this kind of research. For one thing, after half a century of being stigmatised as dangerous recreational drugs, it’s still slow going to build up the evidence base supporting the healing potential psychedelic pharmaceuticals. The studies are piling up, though. Which is good news for those dealing with ill mental health. “In the future, my hope is that we can gain some insights into the neural mechanisms underlying the therapeutic effect of psychedelics and also of other therapeutic tools,” says Atasoy.